OSU has announced some interesting plans for some students this fall. 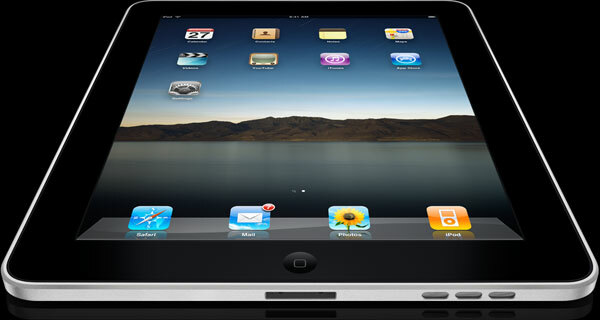 The new plans include evaluating how well the iPad works in the classroom as an educational tool. The school will offer about 125 students taking five different courses the ability to use an iPad. The courses are offered on the Stillwater and Tulsa campuses of Oklahoma State University in the School of Media and Strategic Communications and the Spears School of Business. The students will get over $100 off the cost of the iPad. After lots of waiting and anticipating Apple finally launched the iPhone 4 last week. The device had a ton of pre-orders and there were huge lines at some stores to get one. There were estimates early in the launch that numbers could go as high as 1.5 million units sold. 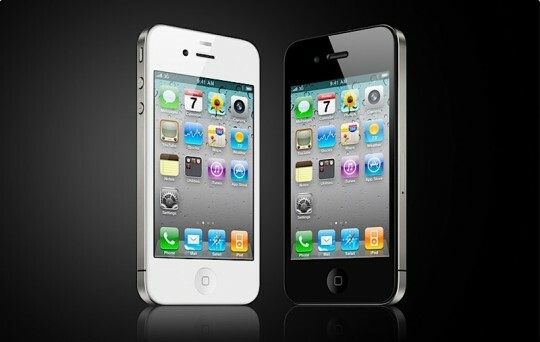 Apple has officially confirmed that over the first three days the iPhone 4 was available it sold 1.7 million units. The app outlines a way that Apple could provide haptic feedback for touchscreen devices like the iPhone and iPad. 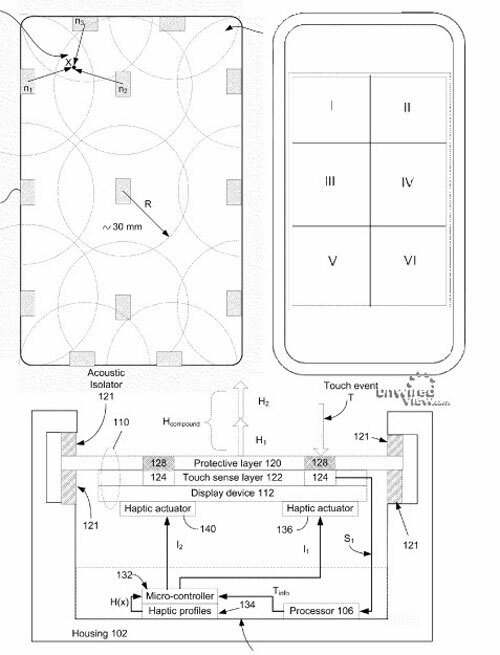 The patent has a bunch of haptic actuators around the screen under the surface. I don’t like pre-ordering gadgets. I prefer to walk in and walk out with what I want. If you feel the same way and didn’t pre-order an iPhone 4, your best bet to get one on launch day may be Walmart. 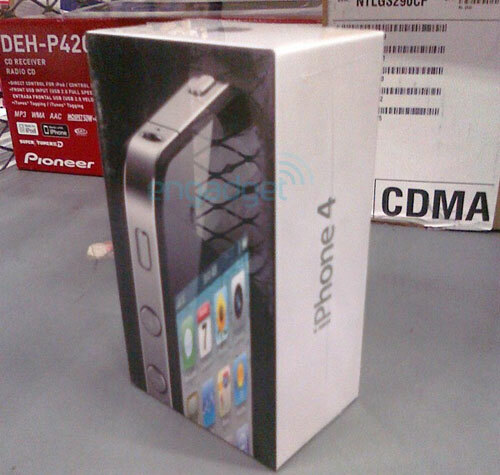 A source has sent Engadget picture of the iPhone 4 in its cellophane wrapped cardboard box waiting in the back area at Walmart. The device is ready to go. One of the cool new features of the iPhone 4 that Apple talked about at WWDC was Face Time. 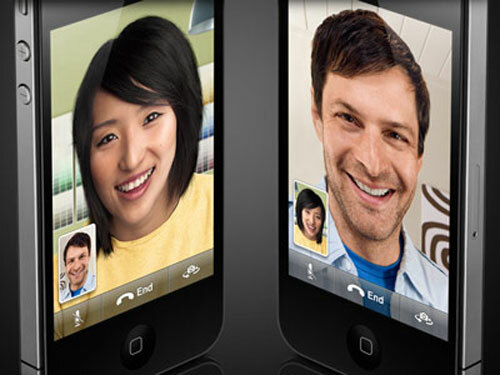 Face Time is a video calling application that only works between iPhone 4 users via WiFi. Some were wondering if AT&T would be charging users for voice minutes when using Face Time. Apple now says that Face Time calls will not use voice minutes. If a Face Time call is started within a voice call, the voice call ends when Face Time connects. Scosche makes a ton of accessories for the iPhone and iPods from Apple. The company has announced its new line of cases for the iPhone 4 that was launched early this week. Scosche will be offering eight cases and three screen protectors for the phone. The cases include the kickback g4 with a polycarbonate shell and a kickstand. The switchKASE g4 is silicone with a stand; the metalliKASE g4 is a polycarbonate case in chrome with a mirror screen protector. The iPhone is on a completely different level from the Palm Pre in terms of popularity and sales. Still, there are a few things that I don’t like about the iPhone that the Pre does better. The most obvious is the way webOS handles notifications that let you keep working while the iPhone makes you stop and tend to the notification. 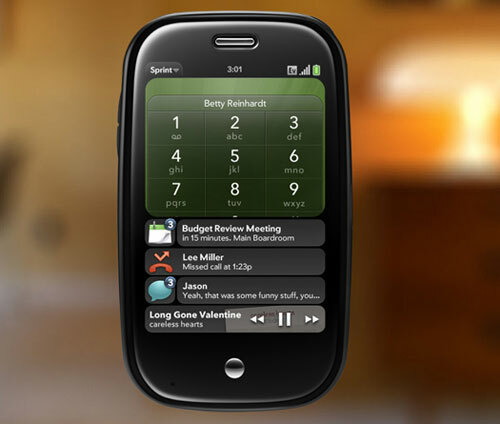 The man who designed the notification system in webOS has left Palm and landed at Apple. We can only hope that his first job will be to revamp the notification system the iPhone uses into something that works better. Apple launched its Magic Mouse a while back that has no physical buttons on its slick and smooth surface. 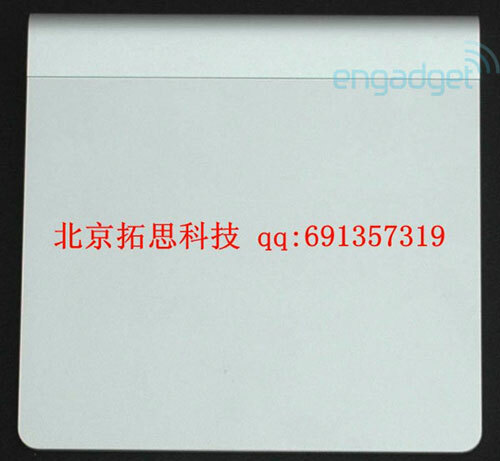 Rumors claim that Apple is set to launch a new Magic peripheral today at WWDC called the Magic Trackpad. The Magic Trackpad is just what it sounds like, a track pad that is designed to connect via Bluetooth to notebooks and desktops. The thing supports gesture control and is said to recognize handwriting. I like my iPad and I have taken it with me many places for reading and playing games when I get bored. Lots of folks are finding that the iPad is good for a great many things, including a group of surgeons in Japan. These docs used the iPad during surgery apparently to view images to help during the procedure. The iPad was held by an assistant during the surgury. I imagine it went something like this — scalpel, suction, iPad, landscape please. Apple and its CEO Steve Jobs are notorious for their tight levels of secrecy surround its new products. I was surprised when Jobs didn’t personally castrate the dude who lost that iPhone prototype in public. Steve is now pissed that third parties are grabbing data on what software and devices are being used. The iPad is a very interesting gadget, despite that it is expensive. The device is capable of replacing a netbook for most users and could perhaps even replace a notebook for some. 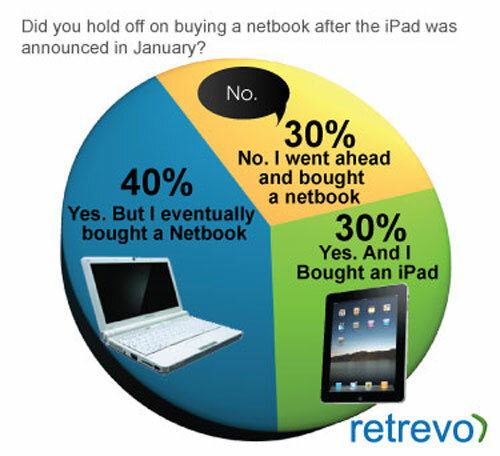 A new survey has shown that a significant amount of people looking for a netbook ended up with the iPad. The survey was conducted on behalf of retrevo and pooled over a 100 users of different ages, races, and incomes. The survey found that 40% of the pole in the market for a netbook bought a netbook without waiting for the iPad after it was announced. One of the things that many iPhone users have wanted for a long time was the ability to tether their device to a notebook for 3G connectivity. 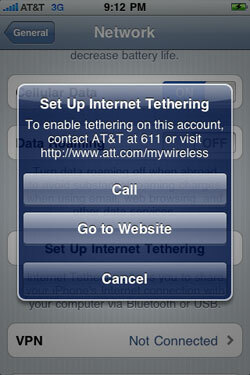 Apple added that feature into OS 3.0, but AT&T blocked tethering on the device. The first betas of iPhone OS 4 didn’t show any tethering features in the OS. However, a new OS 4 Beta 4 has surfaced that has some tethering features inside. I have used the Tango stylus for the iPhone before and the thing works very well for hitting small buttons and links with more accuracy. The problem was that there was no place to put the stylus in most cases making it hard to take along on the road. 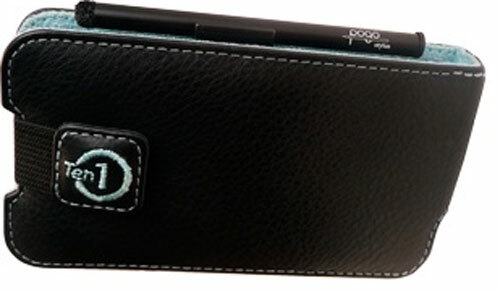 Ten1 has announced a new case called the Tango Leather case and stylus. The device has full-grain leather on the outside and a soft microsuede interior. The interior can be had in light blue or green colors. Here in the US AT&T did us a solid with nice data plans at a good price. Over in the UK fans of the iPad looking to get the 3G version might be looking to save some coin on a data plan and there is a way to save even more than the already cut rate pricing on iPad data. ITProPortal reports that if you have an account with Orange that has a SIM card at the £5 monthly rate for 500MB of data you can use that SIM in your iPad 3G with some tweaking. Presumably, you can buy the dongle before the iPad just to get the SIM card as well. A month or so back Apple finally updated its line of MacBook Pro notebooks with new processors from Intel. The MacBook Air is still chugging along with the processors that it has had for a long time. That may change this week according to a rumor. MacWorld Australia reports that the MacBook Air is getting an update this week. The rumor comes by way of a tipster that was right on with a tip that the MacBook Pro line was being updated.